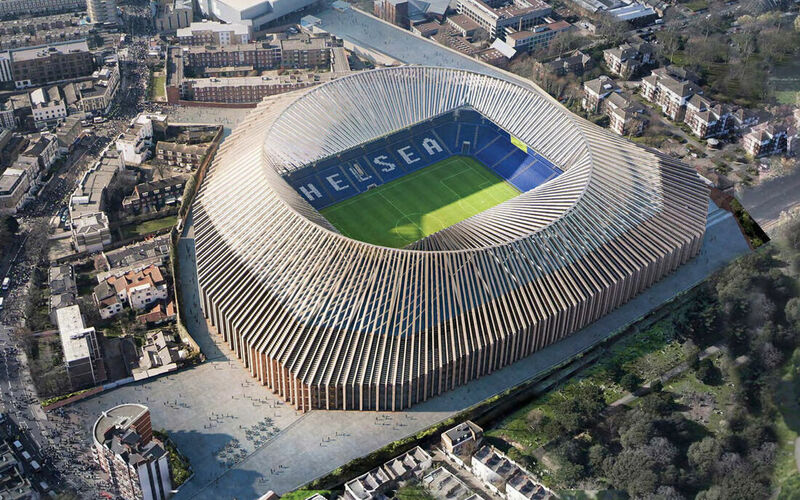 It might already be one of the UK’s most iconic football grounds, but with rivals Arsenal and both Manchester clubs already boasting significantly larger stadia, and the likes of Tottenham and Liverpool working on new grounds of their own, Chelsea Football Club made the decision to rebuild its famed Stamford Bridge stadium. Storied architectural firm Herzog and de Meuron – the brains behind the Beijing ‘Bird’s Nest’ and Munich’s Allianz Arena - designed a new 60,000-seat stadium that would replace the century-old structure. With the planning process well underway, the club required a range of measurement solutions. 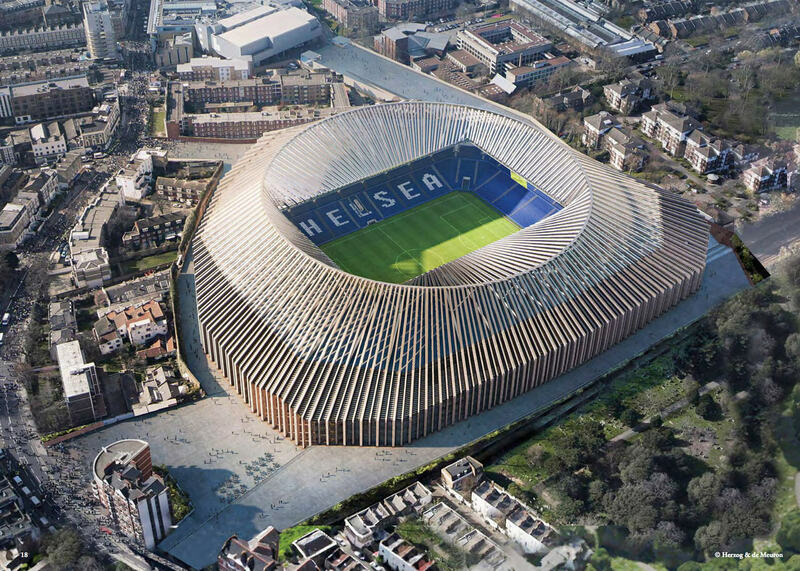 Plowman Craven was brought in by MHC Services on behalf of Chelsea FC to provide a comprehensive area measurement report that would enable the client to accurately detail – and compare – the internal measurements of every facet of both the proposed new stadium and the existing Stamford Bridge ground, itself made up of a myriad of buildings ranging from the main stands to hotels, offices, gym and retail store. 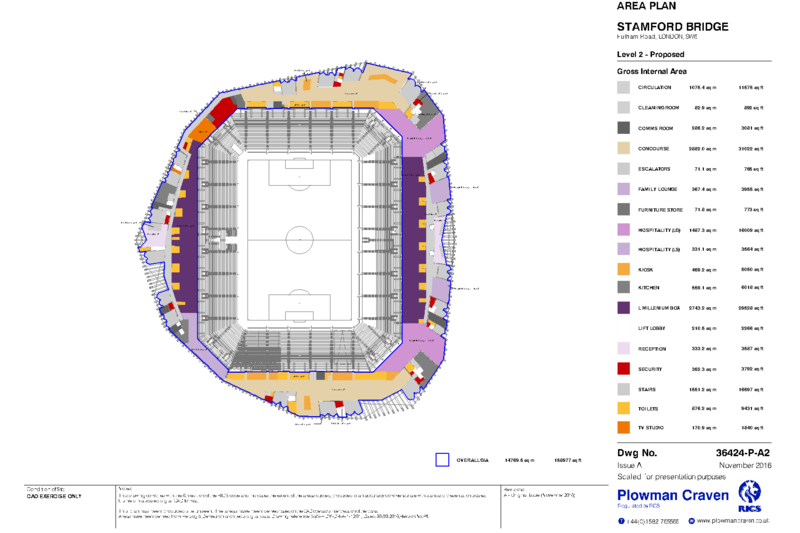 In order to calculate its CIL (Community Infrastructure Levy), the client required a complete breakdown and quantifiable analysis of every single part of the stadium plans on a usage-by-usage basis. Usages range from kiosks and office space to concourses and plant rooms. We are a market leader in area measurement and have built our reputation on accuracy, timely delivery and independent consultancy, backed up by a duty of care. 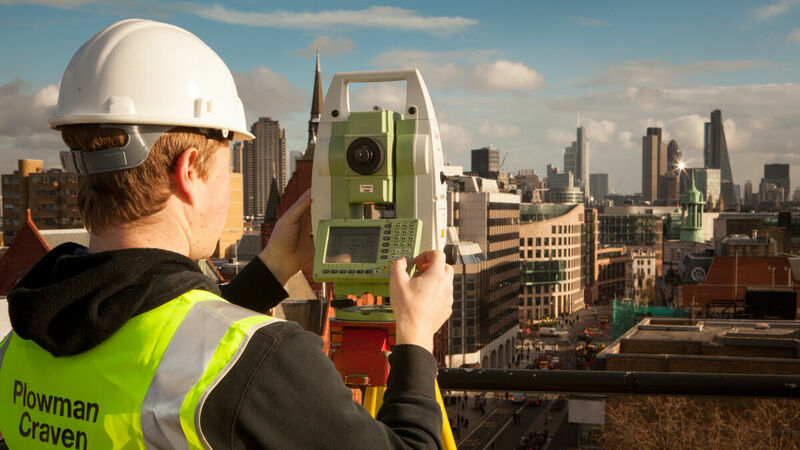 From city offices and mixed-use portfolios to industrial parks, shopping centres and high street retail schemes, Plowman Craven is committed to providing complete area referencing and measurement solutions. Typically, an as-built area measurement report would involve manually measuring the gross internal area of a building or structure in order to calculate the square footage. But with the client having very specific requirements and an extremely limited time-frame, our Property Services team took the unusual step of conducting a desktop area measurement exercise, working from client supplied CAD drawings. With nine floors to calculate areas for, we’d normally use just two polylines for each floor to outline the measurable zones and calculate GIA. With a requirement to log and total up every single usage type, this report required the analysis of 958 unique polylines to ensure we provided the client with the desired level of detail. Having made the necessary calculations, a site visit was then conducted by the survey team to visually compare the as-built drawings with the physical reality and check that everything was correct. Several additional areas were uncovered during the site visit and a number of amends made to the calculations as precise usages were confirmed. With everything verified, the full report was delivered to the client ahead of schedule. Note: All measurements were made in accordance with the Royal Institution of Chartered Surveyors (RICS) Measuring Code of Practice 6th Edition. Areas were calculated in square metres and converted to square feet.